d2b International has joined salesforce.com's partner program to be able to share our expertiese in international data management with salesforce.com's customers. Our solutions have been certified to meet the same requirements as the salesforce application with respect to integrity, performance and security. Jobscience is the leading provider of HR and talent management applications on Force.com (a Platform-as-a-Service (PAAS) offering from salesforce.com) and for the past two years has received salesforce.com's AppExchange Customer Choice Award for Recruiting. - Candidate Management: Quickly recruit, track and manage candidates using resume parsing and intelligent search. - Networking: Access social networks to leverage connections and collect candidate information. - Interview Management: Keep all participants involved and informed. - Cloud Integration to e.g. SAP ERP Systems. -We provide experienced professionals who can work with your company at the most senior level in order to carry out strategic reviews, define cost benefit cases and carry out all aspects of business process modelling and engineering. This is not 'blue sky' work but very practical and pragmatic engagements targeted at getting business change resolved quickly and effectively. The San Diego CRM Consulting is a customer-focused consulting firm with a global client base and 'Old School' approach to customer service. Richard Kresse, Inc. provides Salesforce and other cloud systems consulting. We have some of the highest ranked Salesforce Certifications including the Salesforce Certified Administrator, Salesforce Certified Advanced Administrator, Salesforce Certified Sales Cloud Consultant, and Salesforce Certified Force.com Developer. 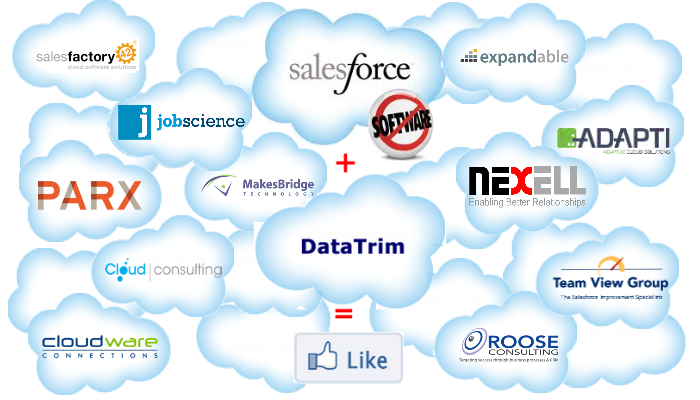 We provide industry leading solutions for your Salesforce CRM or other cloud systems. -Identifying and providing high quality business-to-business databases which provide consistent information across a variety of European countries. We also offer customer profiling, matching and market modelling, using standard universes built up from selected major databases. -Market identification and lead generation through telemarketing and other media such as direct postal mail and e-mail. This is carried out simultaneously in several countries through local partners but centrally managed and reported. -Maintaining international data using our European experts and, for larger projects, our outsourcing team. © Copyright 2001-2018 d2b International ApS, All rights reserved Various trademarks held by their respective owners.